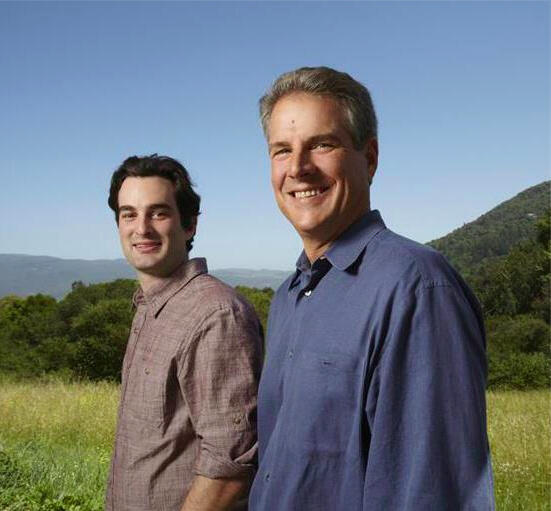 LUTUM was born from a shared vision between Bill Price, entrepreneur and owner Price Family Vineyards, and winemaker Gavin Chanin. Their wine focuses on small-production, single-vineyard Pinot Noir and Chardonnay from prime vineyard sites in California. The name LUTUM is Latin for dirt or soil, referencing their mission to make wines that express these great sites, with little to mask the vineyards' natural character. Together, they are the Bards of LUTUM. Bill Price is proprietor of Classic Wines and Price Family Vineyards--including ownership of Durell Vineyard, Trip Vineyard, DuPont Vineyard, One Sky Vineyard, Walala Vineyard and Gap's Crown Vineyard. The Classic Wines portfolio includes Buccella, Head High, LUTUM, Kistler and Three Sticks. Price is chairman of Gary Farrell Winery. Gavin Chanin is winemaker for LUTUM. He was named one of Forbes' "30 under 30" in 2011, a "winemaker to watch" by San Francisco Chronicle in 2012, one of Food & Wine's "winemakers of the year" in 2012, and was featured in Wine Enthusiast magazine's "40 under 40" tastemakers in the wine industry for 2013. A recent article in Wine & Spirits prominently featured Chanin as a leader in "the shape of Chardonnays to come."